I first saw this side-car on Facebook from a post by the facially elusive Captain Constance Bashford. 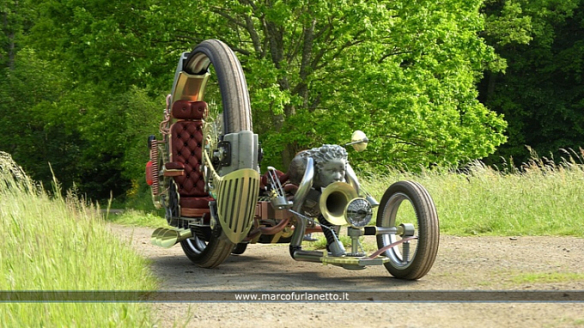 It’s designed by Italian 3D artist Marco Furlanetto. His website is currently undergoing maintenance but I managed to harvest a few photographs from AutoEvolution and the article they covered on his work. This entry was posted on March 10, 2014 by Phoebe Darqueling. It was filed under Reblogs and Miscellaneous .